Seal-Dipä is a special formulation of our high-temperature silicone rubber which is a liquid until exposed to air, when it cures rapidly into a flexible protective covering of silicone rubber. 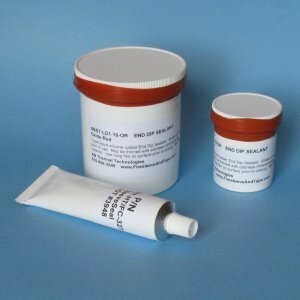 Perfect for protecting the ends of sleeve and tape from fraying, or from contamination, and from wicking liquids such as water, oil, hydraulic fluid, etc. Usually used as a dip for sleeve and rope. Non corrosive and meets Mil-A-46146 as per NAVAIR 01-1A-20.